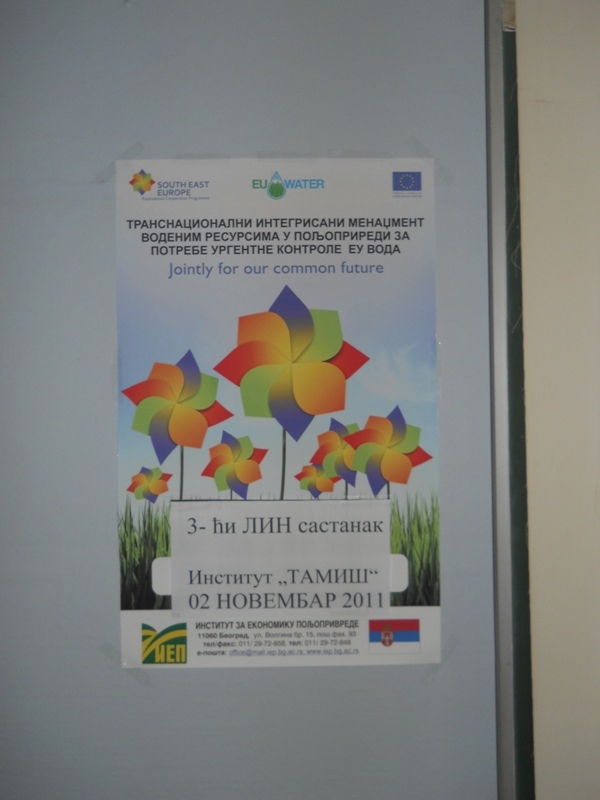 On 02nd November 2011 in the premises of the Institute “Tamiš”, Pančevo, held a 3rd LIN meeting (local information network) and also press conference. 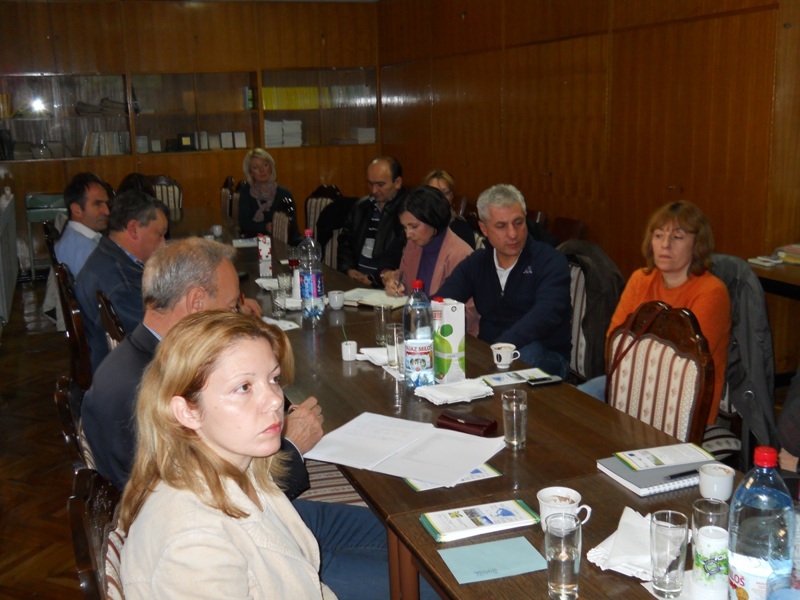 Meeting were organizing by the Institute of Agricultural Economics, Belgrade as a project manager for the EU.WATER project in the Republic of Serbia and Institute “Tamiš” as the host of the conference. 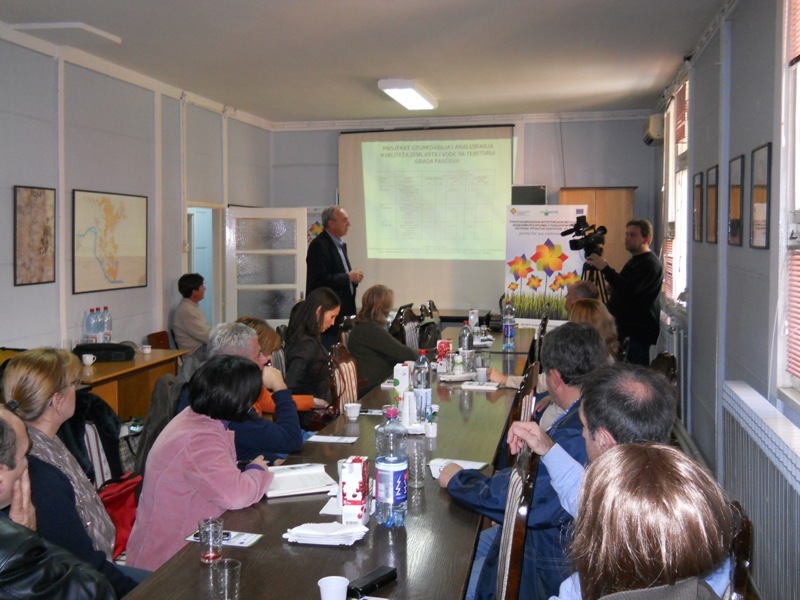 Numerous stakeholders and media representatives who were present at the meeting on behalf of the Institute of Agricultural Economics, Belgrade welcomed the Director Prof. Drago Cvijanovic Ph.D. and on behalf of the PDS Institute “Tamis”; their Director Mileta Stanković. 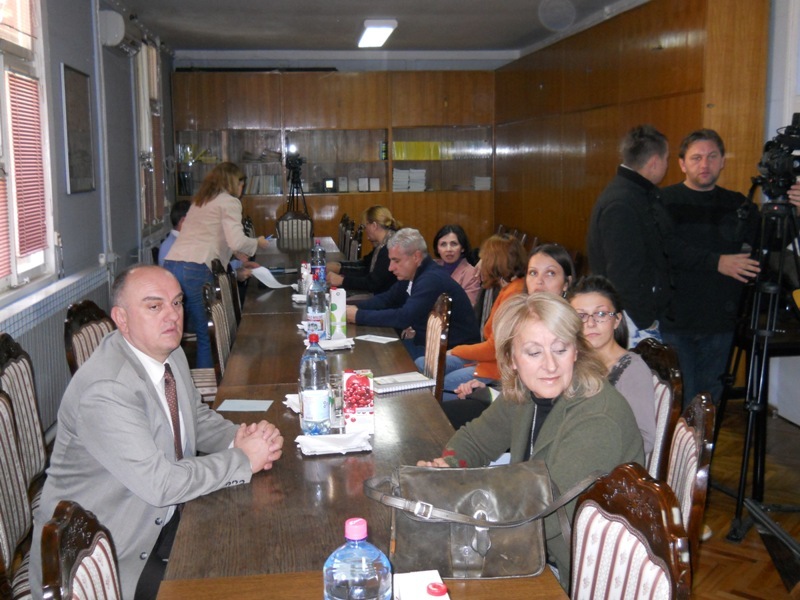 In the welcome speech Mileta Stanković explained the need and importance of EU.WATER project, especially in the area of the Pančevo city, which is burdened with environmental issues caused by increasing pollution and emissions of harmful substances into the soil and water. 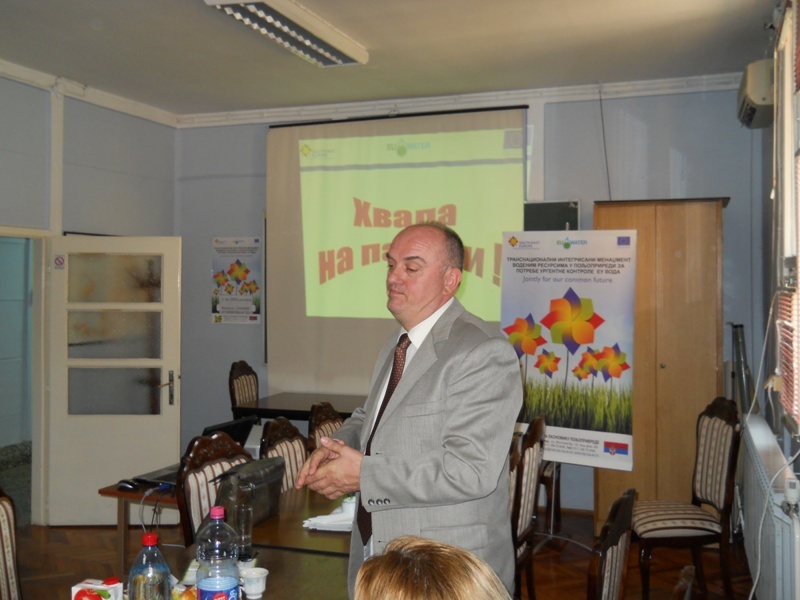 Director of the Institute of Agricultural Economics from Belgrade, Prof. Drago Cvijanović Ph.D. presented the project, goals, the schedule of planned activities and importance. 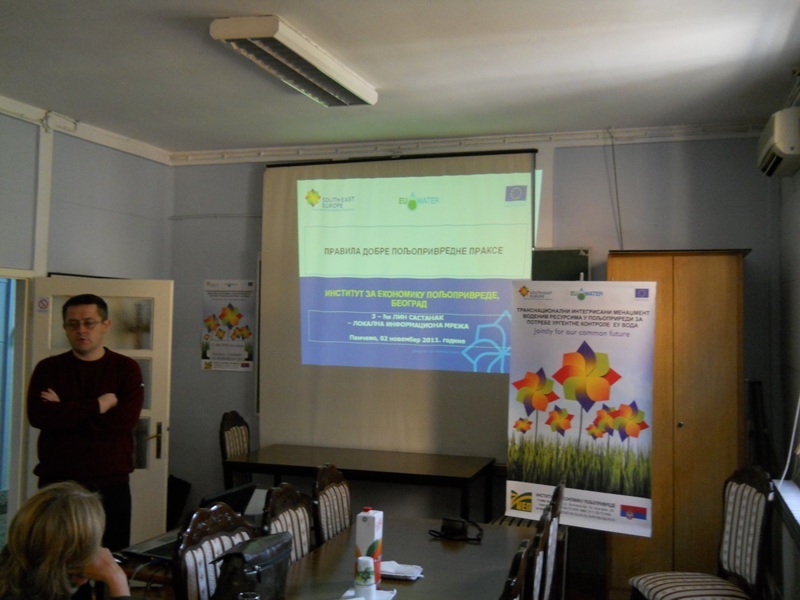 Special emphasis at the meeting has been placed to the „Code of good agricultural practice", which was presented by Predrag Vukovic M.A. Also to stakeholders were presented aims of Nitrate Directive 91/2676 EEC and Water Directive 2000/60 and rules which prescribed EU. 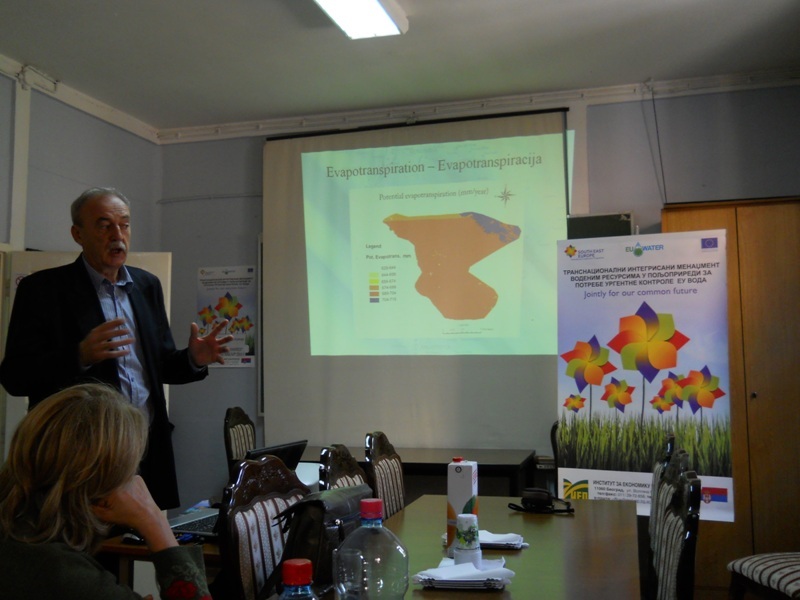 Mileta Stankovic presented GIS maps which IAE did in first year of project and explains importance of this maps. 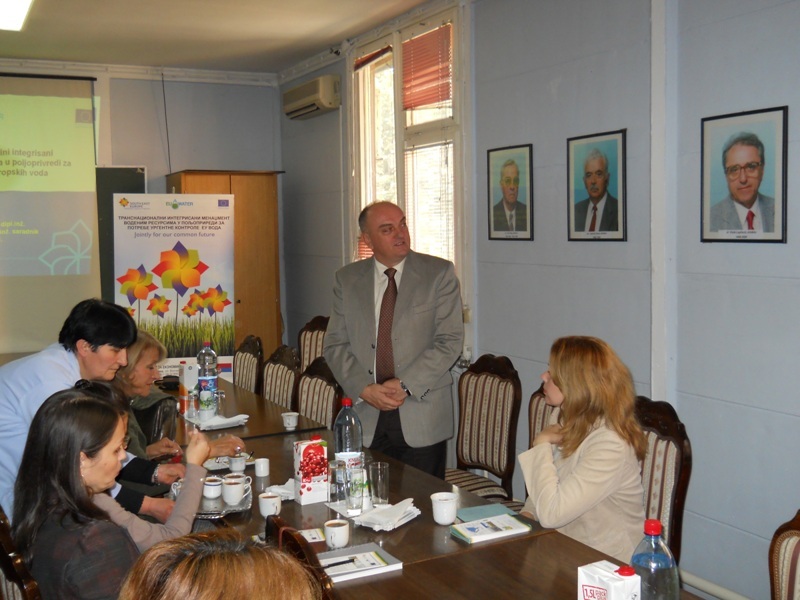 Stakeholders and journalists who were present at the meeting expressed their interest for activities on the EU.WATER project. 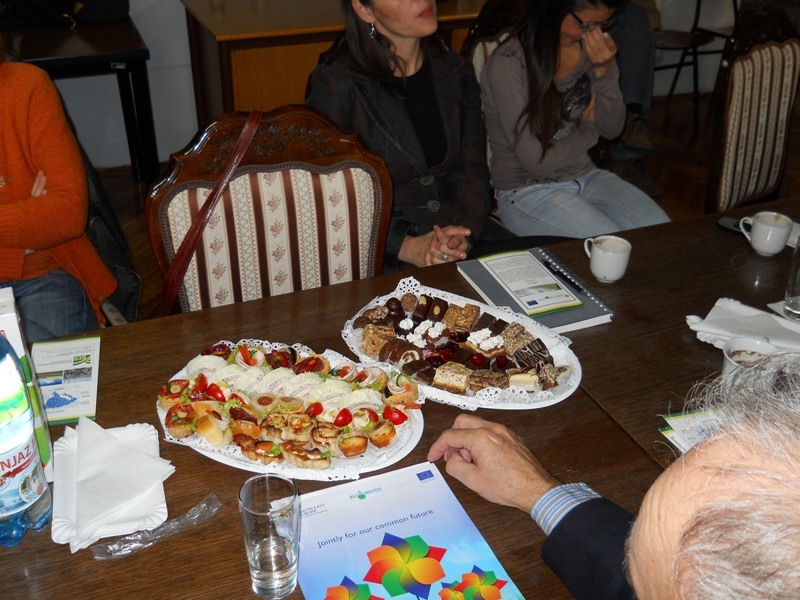 They presented the current issues and expressed willingness to cooperate with the management of the EUWATER project. 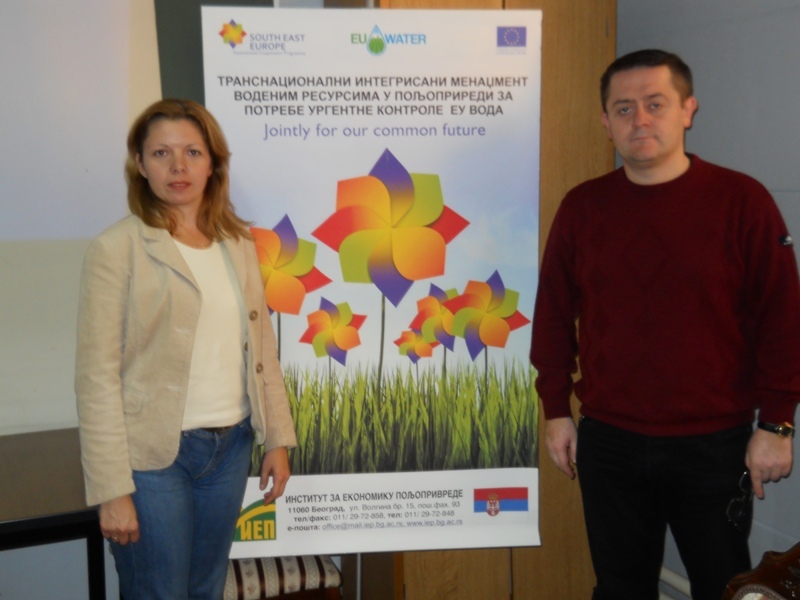 In delegation of the Institute of Agricultural Economics, Belgrade at the meeting were the Director of Institute Prof. Drago Cvijanović Ph.D. (Project Manager), Predrag Vuković M.A. (Project Coordinator) and Natasha Kljajic M.A. (Assistant Coordinator).